During Monday morning’s Private Members hour, MP Alexandra Mendès (Brossard – Saint-Lambert) rose on the floor of the House of Commons and presented her motion to give the Government of Canada a mandate to promote and strategically enhance the co-operative and mutual movement in Canada. As the sponsor of the motion, Ms. Mendès was allocated 15 minutes to speak followed by a brief Q&A from other MPs, after which 5 other Members of Parliament spoke in favour of the motion to fill the 1 hour allocated for Private Members business. The second hour of debate will occur on April 4. You can read the entire debate in the Hansard. 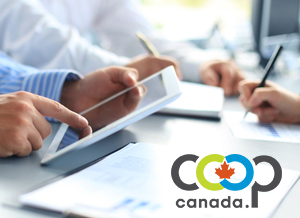 Motion M-100 asks the Government bureaucracy to develop and implement a strategy that promotes and supports Canada’s co-operative and mutuals sector in collaboration with the sector. It also asks that the department report back to Parliament on its progress. With strong, all party support of the House of Commons, a clear mandate to the department of Industry, Science and Economic Development to develop a strategy will ensue, ensuring that Canada’s co-operative sector continues to thrive and help the government achieve it economic goals. As it happens, the CMC Board of Directors was meeting in Ottawa on Monday which afforded the Board to be present in the Gallery for the first hour of debate. The Board and staff also mounted a significant lobby effort the following day in support of Motion M-100 and as a final push before the 2017 Budget. All parties have stated that they support for the motion, both in Parliament and in private meetings. The adoption of this motion is an important part of CMC’s campaign directed at the Federal Government, called SolvingChallengesTogether.ca. If the second hour of debate on the motion takes place on April 4, (subject to parliamentary proceedings), then the recorded vote would take place on April 5. CMC will continue to lobby the government and present ideas on what a National Co-op Development Strategy might look like and how it can benefit Canadians.